German author Simone Buchholz began scooping up major awards in European crime fiction a few years ago, and has an armful of titles -- and US readers this weekend can finally access one in English (lively and smooth translation by Rachel Ward). 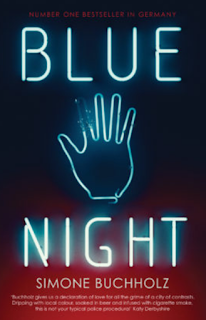 BLUE NIGHT is one of the most intriguing police procedurals I've read. It caught me within the first few chapters, not for the plot twists (although there are plenty), but for the piercing portraits of what friendship among big-city investigators can mean: having each other's back no matter what, celebrating together, and struggling to endure a high-stress and often high-alcohol life with little sleep and rare praise, in the midst of risk and loss. Hamburg State Prosecutor Chastity Riley loves her job - but she's boxed out of it for now, demoted for having accused a superior of corruption and firing her weapon. So when we meet her trudging away from her broken-down car on a highway, her mood stinks for multiple reasons. It looks like she has an assignment though, if she can get back to the city: A smashed-up man in a hospital, pretty clearly the victim of a criminal-network beat-down, is unconscious and without identification. Her assignment is to figure out who he is and what happened, so the wheels of justice can start to grind. First, of course, she'd got to find a way back in the darkness. She calls a friend, Faller, who agrees to collect her, but it will take at least an hour for him to reach her, which is why, disgusted and puffing on a cigarette, she's heading west on foot. She admits to herself, "I feel like a cowboy whose horse has been shot." Lucky thing Faller's own beat-up vehicle is temporarily running. Chastity Riley's friends are mostly messed up right now: Faller himself is clearly having a midlife crisit, Calabretta's in mourning for a departed girlfriend, Klatsche -- whose bed she often shares -- has barely gotten to sleep after a long night at his bar, the Blue Night, and her buddies Carla and Rocco don't drive (and anyway, they're supposed to be taking care of Calabretta in his horrible depression). When the man in the hospital wakes, he's clearly not interested in helped Chas solve the crime that landed him there. Of more concern is that Faller's midlife crisis seems to be heading into revenge mode, chasing the head of Hamburg's biggest crime/drugs syndicate. I sigh; we clink bottles. 'You're worried about Faller,' [Klatsche] says. Once Chas wins a few words from the man in the hospital, she begins to suspect his beat-down could be related to the same crime operation that her friend Faller is trying to target, run by an Albanian who humiliated Faller in the past. Unexpectedly, the powers that be allow her to step back into a bit more action when they send her to connect with to another police operation, one tracking drugs through the East German badlands, all the way to the Czech border. Yes, overlap, again. Big time. Buchholz inserts short passages of character comments on their situations, including ones from the criminals involved. Interestingly, they don't slow the pace -- they just deepen the wrinkles and show how the plot is twisting yet again. Looks like Chastity Riley's irascible hospital patient is determined to take a role in the showdown, wheelchair and all. With a little help. This is a slim crime novel, only 182 pages, but memorable and worth a second reading, too. 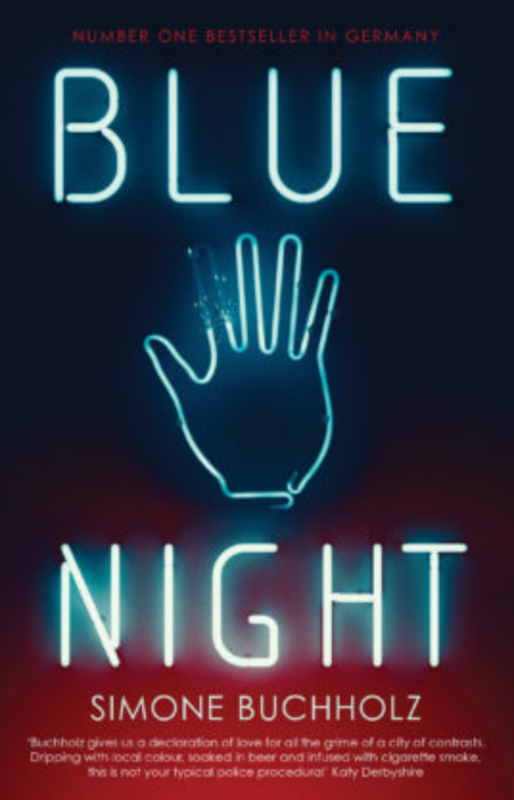 Many thanks to Orenda Books for bringing it across the Atlantic, and giving us hope of more adept translations of Buchholz's dark and popular Hamburg police investigations.